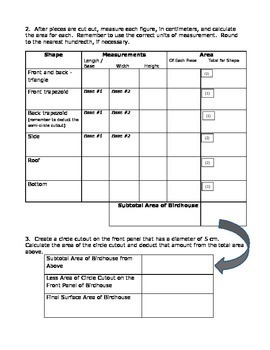 Great activity to reinforce or review area formulas and surface area. 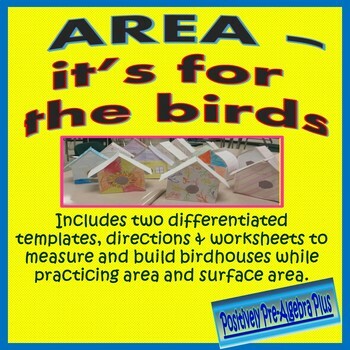 The activity has two levels of birdhouse templates to make it easy for you to differentiate. This 2-3 class period activity is also great for projects at the beginning of the year, end of year, or around holidays. 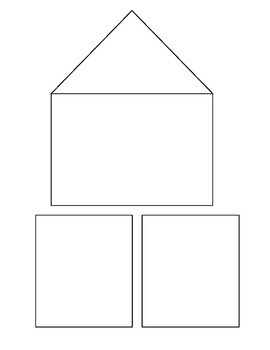 The first template is the easier model using triangles, rectangles, one circle, and US customary units. 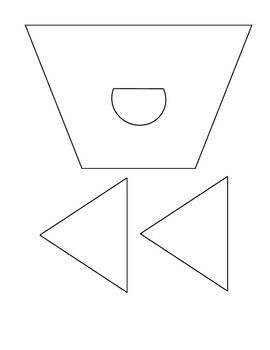 The second template uses triangles, trapezoids, rectangles, semi-circles, circles and the metric system. This activity is also a great opportunity for students to work in cooperative groups to share ideas and problem solve, while maintaining individual student accountability for each project. Full teacher directions, pictures, templates, student worksheets, and answer keys are included. Printing a class set of the templates on colored paper and laminating them is a good way to keep costs down and keep track of the templates vs. student work. Supplies needed include cardstock, rulers, scissors, pencils, scotch tape, glue sticks (optional), and colored pencils or markers for decorating.